As a small or a mid-sized business owner, it becomes difficult to balance business growth and manage customers simultaneously. That is where a customer relationship management (CRM) system can help you to effectively manage customers and aid you in focusing on business growth. Many large corporations like Coca-Cola use a CRM solution to increase customer interaction by automating their sales and marketing functions. Likewise, small business owners are learning to leverage the same strategy for their business and to provide better customer engagement by automating their marketing, manufacturing and operations activities. 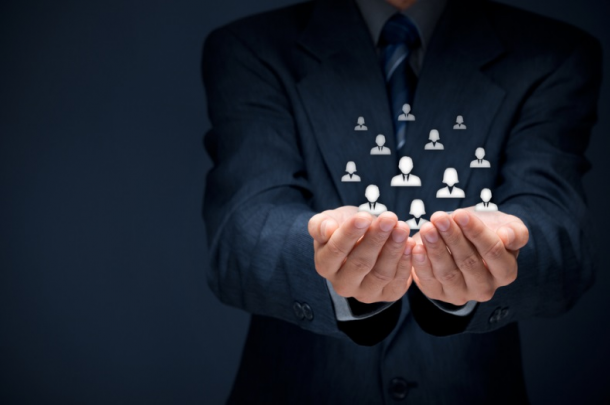 With the help of CRM consulting services you can achieve more clarity, objectivity, analytic thinking, technical know-how and an understanding of customer-based processes at the highest level. Today, technology empowers smaller and mid-sized businesses (SMBs) to tackle some of the most common but persistent business obstacles. Similar to bigger corporations, they too face certain issues when it comes to customer engagement. One of the most common challenges is to remain updated about customer buying behavior. CRM solutions like Dynamics CRM offer ways to gain visibility in the customer-buying pattern and help you enhance business processes. Another challenge SMBs may face is gaining financial visibility. Forbes recently shared that financial planning is the core element of small business management. Decision makers would like to better understand their financial spend per client/customer engagement. Dynamics CRM has customization & integration flexibility that provides this financial visibility. So, why is Microsoft Dynamics CRM ideal for SMBs? Let us have a look at the points below. Sales & Marketing Automation – Salesforce automation helps to shorten the sales cycle by understanding the client requirement and fulfilling the demand in a limited time, resulting in faster lead conversion. Marketing campaign management is another feature of Dynamics CRM that lets decision makers to effectively monitor marketing activities and derive essential insights to fine-tune an enterprise’s strategic focus. Growing Community – MS Dynamics has a lively community of more than 2 million active users spread across 80+ countries. In addition, they offer a vibrant and extensive app marketplace that highlights a range of reusable business applications developed by reputable third-party providers and partners. Deliver Effective Customer Support – All CRM frameworks emphasize that customer service is the cornerstone for organizational success. From managing customer communication, registering queries, responding to concerns to requesting client callbacks, Dynamics CRM empowers the customer service team to stay connected by integrating with Outlook. Easy Scalability – Cloud or On-Premise – Flexibility and scalability is crucial in the modern day business environment. Having a CRM on the cloud provides many benefits such as the ability to access enterprise data remotely. Although many organizations use cloud technologies, data security remains a prime concern to others and that’s why they would rather have an on-premise CRM to ensure better security. 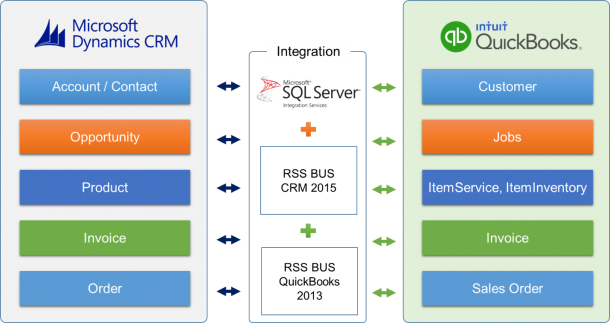 Learn how you can improve accounting operations with a Quickbooks and Microsoft Dynamics Integration.